Confidently waltz through the room feeling like the most stylish maiden in the land while dressed in the Clara Canvas Overdress. Its sleeveless, lace-up bodice and open, gathered skirt are great for layering over your favorite outfit. Made of cotton canvas, you can adjust the lacing along the front of the torso to your liking, whether you wear it tightly closed or loosened to reveal a blouse or chemise worn underneath. The lacing ends at the waist of the fitted bodice as the overgarment transitions into the open, mid-length skirt. 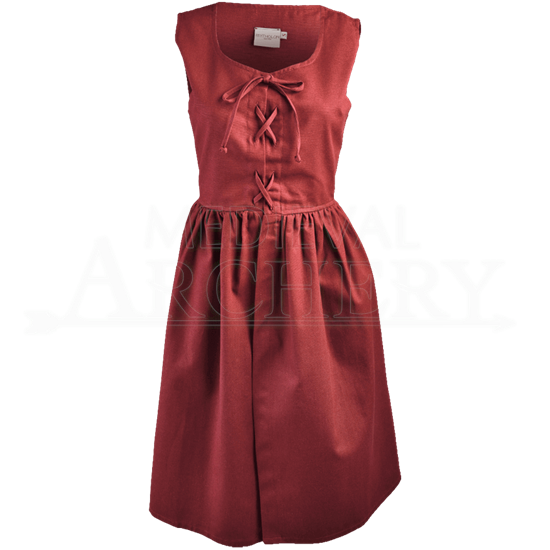 A fun and feminine addition to medieval and Renaissance outfits, this historical overdress is perfect for breathing new life into your medieval and fantasy wardrobes and can be layered over almost anything. 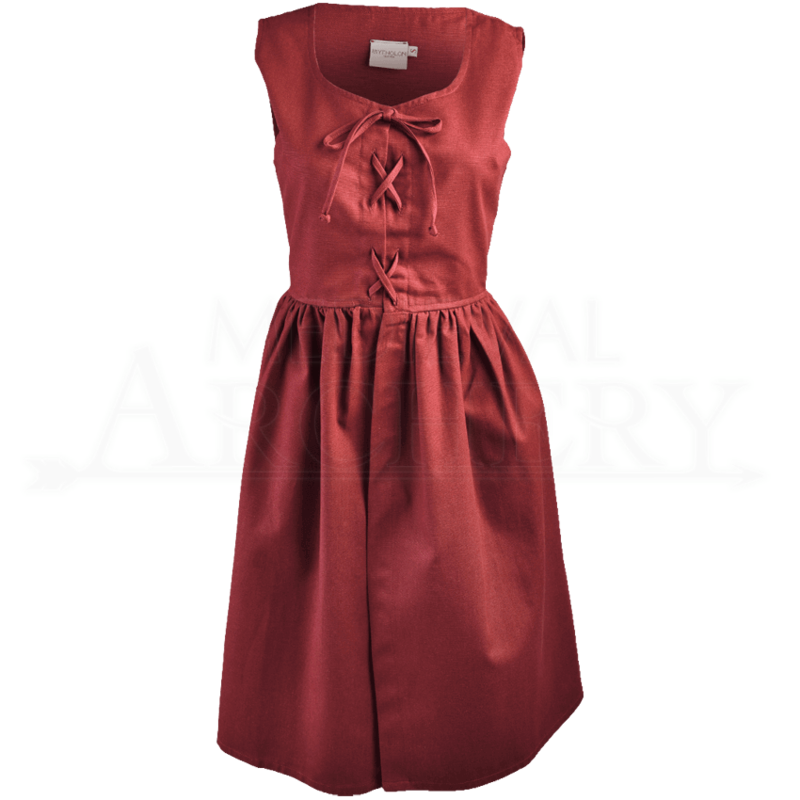 Freshen up your Renaissance festival, LARP, reenactment, or cosplay with the Clara Canvas Overdress.